The theme for our party was stars. There were four of us who created stars out of plastic canvas. I bought yarn and cord in colors that were subdued and went well together. 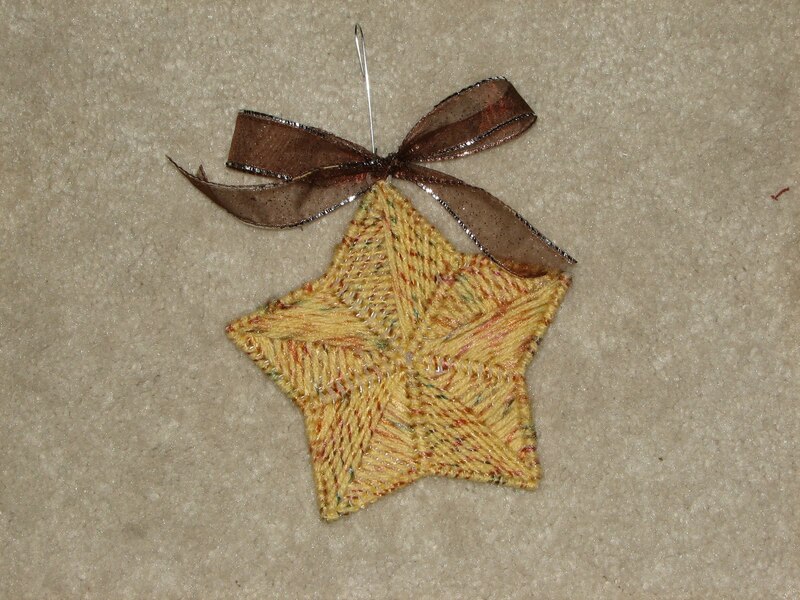 I was going for a rustic barnyard star feel, but everything had some bling also. Either some metallic cord or sparkly yarn. I let the others create their own designs but the color palette was the same so they looked good together. I added more embellishments and some ribbons when they were all finished.